-- Book One of the Demon Underground Series. Barely eighteen-year-old heroine Valentine Shapiro got a raw deal in the parent lottery. Her father was part incubus demon, and her mother's never forgiven her for that. Life after high school is tough enough without having to go 15 rounds with your inner demon. 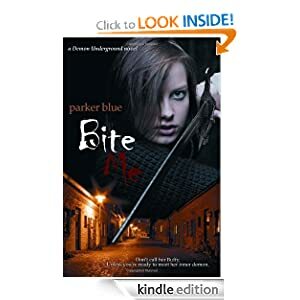 Thrown out of the house by her mother, Val puts one foot in front of the other and does the only thing that seems to make any sense--she takes aim at the town vampires. A stake a day, keeps the demon at bay. (But don't call her Buffy. That makes Lola, her demon, very cranky.) Her dark side makes everyday life a roller coaster, but means she's perfect for her night job as a bounty hunter. San Antonio's vampires are out of control, and it's up to Val, her faithful hellhound Fang, and her new partner, a handsome San Antonio police detective, to get the deadly fangbangers off the city streets. Soon enough she finds herself deep in the underbelly of the city, discovering the secrets of the Demon Underground and fighting to save those she loves. Whether they love her back or not. So begins the story of Roman citizen Aulus Aurelius who, along with his family, was murdered for his faith in AD 67. Since then he has observed Earth from Heaven and now writes these letters to the modern church. With unique insights on eternity, prayer, and the Kingdom of God, he will challenge today’s Christian to have intimacy with God in private and boldness before others in public. • A Vietnamese Christian who sifted through human waste in prison latrines for the Bible. • An Eastern European orphan who died and changed history. 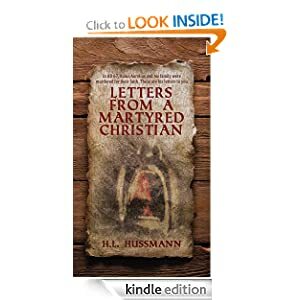 Letters From a Martyred Christian is page-turning fiction that will grip readers from the first sentence but also encourages practical application. It is designed with Christian discipleship classes, small groups, and book clubs in mind. Discussion questions for each chapter are included. -- American historical romance. 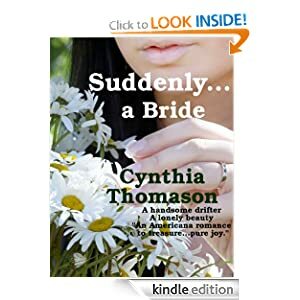 A devastating tornado destroys Abigail Chadwick's homestead and kills her beloved father, leaving her with grief, five orphans, and the challenge of rebuilding her farm alone. 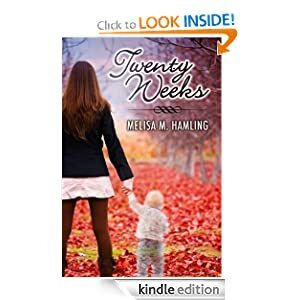 She wasn't prepared for the miracle that showed up on her doorstep in the handsome form of Sam Kelly, a stranger who was just passing through. When he decides to stay and help her, Abby discovers that Sam's gentle kindness might mend more than just tattered buildings. But what about the mystery that surrounds his past? Can she really believe he'll stay? -- Long ago, five nearly indestructible swords were created by the mysterious B'ajj. The first of these swords, Truthseeker, falls into the hands of Bart Taylor, an ordinary teen with ordinary ambitions. After inadvertently saving the beautiful Erin McNamara from her would-be kidnappers and vowing to protect her, Bart is drawn into a conflict on another world that could bring a vicious overlord's wrath down on Earth. In the face of a colossal battle, the magical sword could be the key to the safekeeping not only of Erin, but of an entire solar system. About the Author: The idea for this series of books came to James as a teen. He dreamed of having swords like this and imagined what it would be like to own such a sword. 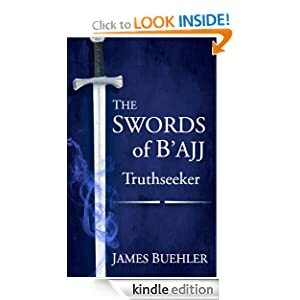 He decided that he should write down his ideas and thus the journey began, and now the time has come to share with others the travels of The Swords of B'ajj. -- 'It's his too, Maya! What if he wants it? What if?' The little voice buzzed in my head, and just when I was about to turn away and run out of the clinic, my name was called. WARNING: This is a mature YA. Contains descriptive scenes not suitable for younger audiences. -- We are faced with an impending calamity that threatens to bankrupt the planetary ecosystem and with it much of the man-made world. In this book, Rirdan submits a plan that truly goes the distance: a highly detailed, planetary-wide blueprint that lays out a new course for our technological and industrial engines. It calls for sweeping adjustments in the way every person thinks and lives. Rirdan takes existing key stressors—from climate change to land degradation to fossil fuel shortages—that are afflicting the planet, and offers solutions that put its survival at the center. The plan includes renewables that in tandem can provide 24/7 power for the entire electrical grid; a radically altered economy, based on regenerative management of existing resources; and the use of rotational, intensive grazing of livestock as part of the effort to rewild nature. 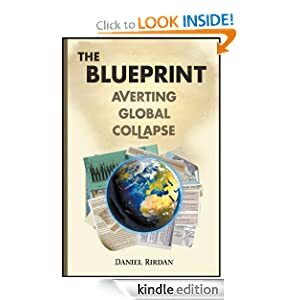 Furthermore, the book illustrates why a carbon neutral economy is inadequate at this late stage and introduces a practical plan to capture hundreds of billions of tons of carbon from the air over the span of a few decades. The author writes clearly and comprehensively, carefully exploring the logistics and infrastructure changes required in moving forward.